Gnocchi, Leftovers and a Two-Minute Dessert! I just wanted to share a quick re-make I made yesterday. There is no throwing away and we still had leftovers! My son wanted Gnocchi for dinner, it is one of his favorites. I was originally going to just keep it simple with Earth Balance/Olive Oil, fresh Garlic and herbs but instead I incorporated leftovers. The Spicy Sweet Potato Wedge & Kale Salad with Asian Tahini Dressing that I shared the other day with the Gnocchi was amazing, great flavors! Now back in February I shared my very similar Gnocchi with Sweet Potato and Kale recipe, check out! However, this leftover re-make was so delicious the dressing really pops! 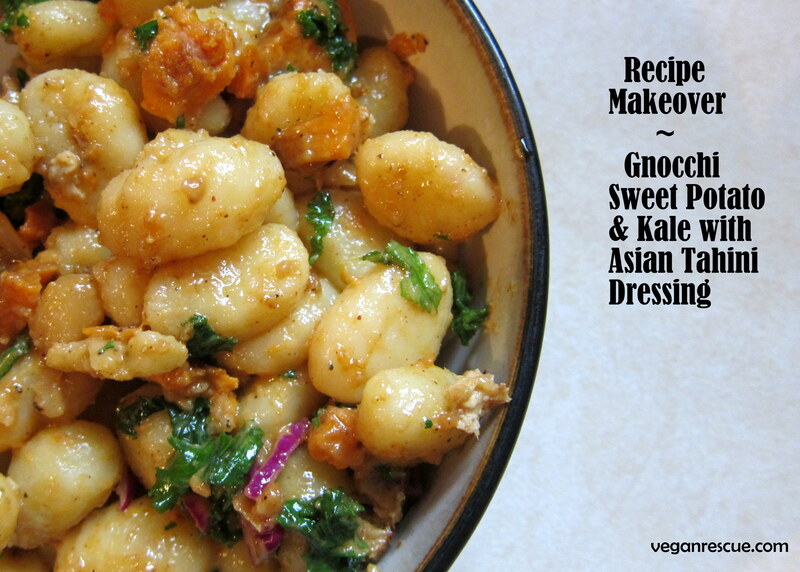 2 Pkgs (17.5 oz) Gnocchi – Prepare according to package add Sweet Potato/Kale and remaining Asian Tahini Dressing recipe. Toss together to combine. 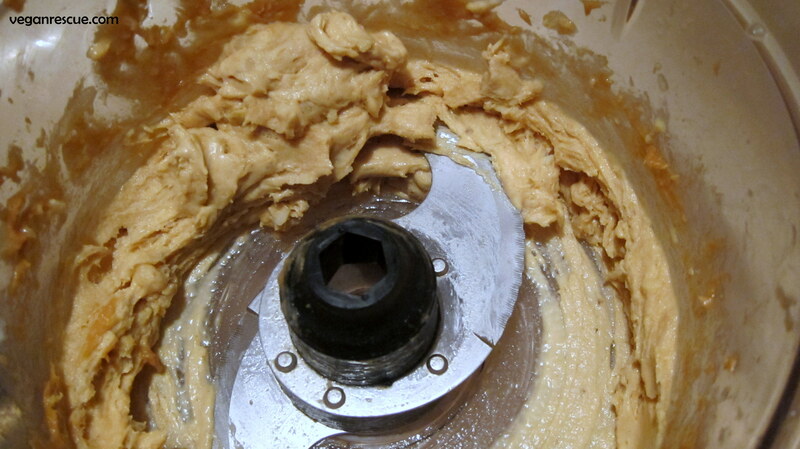 -Combine frozen bananas and peanut butter in food processor until smooth. 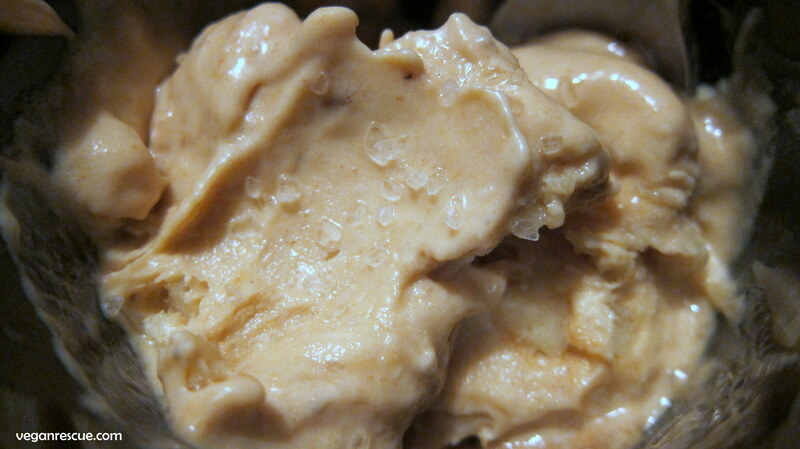 Sprinkle with Sea Salt, Serve & Enjoy!